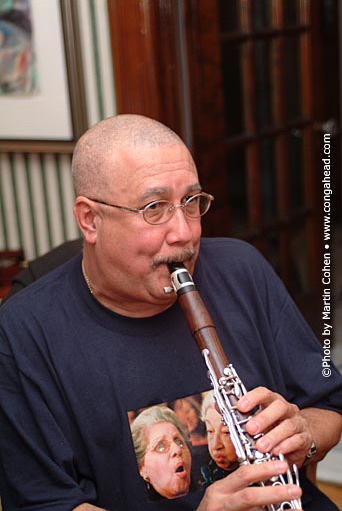 On June 4, 2003 the Grammy award winning, Paquito D'Rivera celebrated his birthday with family and friends at a party held at his house in New Jersey. My wife, Vivianne and I were privileged to attend this event. The great Israeli pianist, Alon Yavnai arrranged to have the Choro Ensemble perform some incredible Brazilian music. Also, performing was Edmar Castañeda, Conrad Herwig and Manuel Velera. Paquito also performed with them all.